Bee Cave Road (also known as RM 2244) is a state road--it was built and is maintained by the Texas Department of Transportation (TXDOT). TXDOT has set up a web page with background information about the project. with "Updates" in the subject line. Happy New Year! Crews are back and hard at work on the Bee Cave Road improvement project! RM 2244, from Red Bud Trail to Camp Craft Road, has been expanded and crews anticipate completing finishing touches, such as striping and intersection adjustments, this spring. Crews continue to work on water lines, utility relocations, and sidewalk and retaining wall construction in various locations. Beginning next week, crews will lower Buckeye Trail for a smooth transition to the newly expanded Bee Cave Road. Work will occur Monday, Jan. 14 through Friday, Jan. 18, from 8 a.m. - 5 p.m., weather permitting. The equipment needed to perform this work is very large. Flaggers will be on-site to help direct traffic, although there may be times when drivers will be directed to use Westlake Drive to access Buckeye Trail. Sunday, Jan. 13 through Thursday, Jan. 17, from 8 p.m. to 5 a.m., weather permitting. The next section of Bee Cave Road to be expanded is from Camp Craft Road to Westbank Drive. 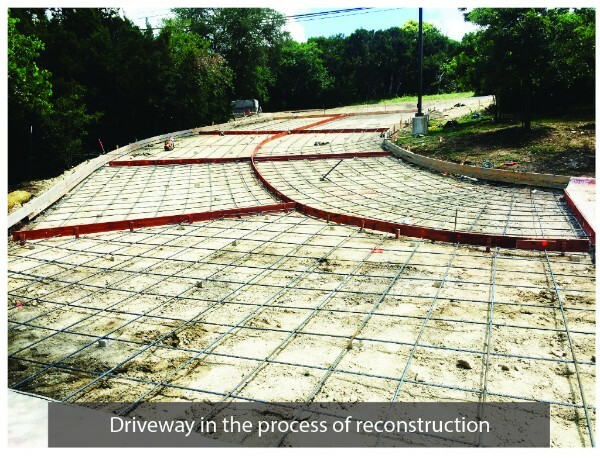 As crews move forward with expansion work, all driveways will also need to be reconstructed. Access to properties will be maintained; however, temporary access modifications at some properties will be necessary to complete work safely and efficiently. We appreciate your patience and understanding as crews work quickly to finish the project. The improvement project includes constructing a center-turn lane and adding shoulders and a sidewalk between Redbud Trail and Walsh Tarlton Lane. Construction began in November 2016 and is anticipated to be complete in late 2019, weather permitting. TXDOT Crews are continuing to expand Bee Cave Road from Buckeye Trail to Camp Craft Road. Crews began work at 9 a.m. today (Friday, November 30th), reducing eastbound traffic to one lane. Tonight at 8 p.m., traffic will be reduced to one lane in both directions. On Sunday at 5 a.m., all westbound lanes will reopen. Eastbound lanes remain reduced to one lane until Monday, Dec. 3 at 5 a.m. To expedite the process, crews will work around the clock. Traffic will be shifted throughout the duration of this work and police officers will be on site to help direct motorists. Please pay attention to all road signs and watch for crews in the right of way. Drivers are encouraged to seek alternate routes, as delays are expected. Additional intersection work will occur at Camp Craft Road on Saturday and Sunday night. Flaggers will be present to help residents in and out of the neighborhood. Please note, schedules are subject to change due to weather or field conditions. Please use caution when traveling through the work zone! RM 2244 has been raised and expanded with sidewalks installed on both sides of the roadway from Redbud Trail to Buckeye Trail. This section of Bee Cave Road is anticipated to be in its final configuration later this year. Crews will be working to expand the roadway from Buckeye Trail to Westlake Drive later this year as well. Some side streets will need to be raised or lowered to match the new elevation of improved Bee Cave Road. These streets include Buckeye Trail, McConnell Drive and Westhaven Drive. The team will coordinate with residents and keep the community updated as this work approaches. Ongoing work includes constructing sidewalks and retaining walls, as well as installing waterline and Intelligent Transportation Systems lines in various locations along the project limits. Remember, school begins Wednesday, Aug. 22. Please plan accordingly, expect increased traffic, and use caution when traveling through the work zones. 6:50 – 7:40 a.m. and 2:40 – 3:15 p.m. Typical lane closure and work hours are listed below. Though most construction activities will take place during these hours, work and lane closures may occur at other times as necessary. 8 p.m. to 5 a.m.
6 p.m. – 6 a.m.
Left turns: prohibited on eastbound Bee Cave Road at Buckeye Trail, McConnell Drive, and Westhaven Drive from 7 a.m. to 9 a.m.
After our initial weather delay, crews are ready to continue with the expansion of Bee Cave Road. Work is scheduled to begin on the center-turn lane and widening of the roadway in some sections. In order to complete this work safely and quickly, traffic will be shifted to allow crews to work on various sections of Bee Cave Road. Crews will prepare the roadway for the addition of the center-turn lane and pave the inside lanes of Bee Cave Road. Crews will prepare the roadway and lay additional pavement for the expansion of Bee Cave Road. during Phase 1 and Phase 2. Crews will implement the traffic shift beginning tonight at 8 p.m. and it is anticipated to be in place by 5 a.m. Friday morning. The roadway will remain open during the traffic shift with some lane closures to keep crews and the traveling public safe. In addition to temporary signage and roadway markings indicating the temporary traffic shift, police officers will be onsite to help direct traffic. TxDOT and the contractor understand the inconvenience this will cause. To expedite this work, crews will be working during daytime and nighttime work hours. We anticipate all sections to be complete by Monday, June 25, weather permitting. Please reach out to the project team with any questions or concerns. Thank you. The start date for the traffic shifts that are outlined in the June 13, 2018 update below has been postponed to June 21, 2018 due to weather concerns. TXDOT has informed the City that there will be nighttime lane closures from 8:00 pm to 5:00 am, Sunday through Thursday (June 10th through 14th) and Sunday through Thursday (June 17th through 24th). The closures will take place on Bee Cave Road between Redbud Trail and Buckeye Trail. All drivers are asked to slow down and look for flaggers that will be directing traffic in order to keep everyone safe (drivers, workers, etc.) during this work. Crews have been working on the expansion of Bee Cave Road. They are ready to install the center-turn lane and expand the roadway in some sections. In order to complete this work safely and quickly, traffic will be shifted to allow crews to work on various sections of Bee Cave Road. In addition to temporary signage and roadway markings indicating the temporary traffic shift, police officers will be onsite to help direct traffic. TxDOT and the contractor understand the inconvenience this will cause. To expedite this work, crews will be working during daytime and nighttime work hours. We anticipate each section of work to take approximately two days to complete with all sections completed by Friday, June 22, weather permitting. Crews are working to connect the newly-installed water lines into existing water lines for the Bee Cave Road Improvement project. This work will take place at several intersections along Bee Cave Road. This morning crews began working at the Camp Craft Road, Westhaven Drive, and McConnell Drive intersections. This work will continue to take place during daytime working hours, weather permitting. In order to perform work safely and efficiently, crews will partially close intersections during work and will have a flagger at each intersection to help guide drivers. These activities are expected to be loud and work is anticipated to take approximately two weeks. TxDOT and the contractor are aware of the disruptions caused by these activities and will work to finish as quickly as possible. If you have any questions, please feel free to contact us. Wow! A lot is happening on the Bee Cave Road improvement project. Sidewalks, retaining walls, and utility relocations have been completed in various locations throughout the project limits. Crews continue to work on water lines, utility relocations, sidewalk construction, and retaining walls in several locations. Preparation work for expanding Bee Cave Road is also underway, including paving and raising/lowering various side streets to match the newly expanded road. There will be nighttime work beginning this Sunday, 3/25 through Thursday, 3/29 to install a water line across Bee Cave Road. Alternating lane closures will occur from 8 p.m. – 5 a.m. nightly between Buckeye Trail and Westlake Drive. Daytime work will continue for assorted construction activities and utility work, with various lane closures occurring between Redbud Trail and Walsh Tarlton Lane. The contractor is working to keep these lane closures short in length and will continuously move the lane closure once the work is complete. Please watch for crews working in the right of way, use caution while driving, and follow all road signs. The improvement project includes constructing a center-turn lane and adding shoulders and a sidewalk between Redbud Trail and Walsh Tarlton Lane. Construction began in November 2016 and is anticipated to be complete in summer 2019, weather permitting. Crews will be off for the holidays beginning Saturday, Dec. 23, 2017 through Tuesday, Dec. 26, 2017 and on New Year's Day, Monday, Jan. 1, 2018. Daytime work will continue for various construction activities and utility work. There will be various lane closures from Sundown Parkway to Beaver Trail. Roadway users should expect to see additional lane closures and lane modifications in 2018. Please watch for crews in the right of way, use caution while driving, and follow all road signs. We hope you have a happy and safe holiday and Happy New Year! We continue to make progress with construction along Bee Cave Road. Utility work continues, along with water line and storm sewer installation, retaining wall construction, and excavation in preparation for expanding the roadway. Beginning today, Tuesday, Sept. 5, 2017, TxDOT crews will begin removing and trimming trees on the first 300 feet of Buckeye Trail as part of the Bee Cave Road Improvement Project. This work is to prepare for the installation of a new and upgraded waterline, as well as upcoming roadwork. After this work is complete, tree trimming will occur on the first 100 feet of Westhaven Drive and tree removal and trimming will occur on the first 150 feet of McConnell Drive. In the future, crews will begin roadway work on Buckeye Trail, McConnell Drive, and Westhaven Drive. Work will consist of lowering the elevation of these streets in order to align with the elevation of improved Bee Cave Road and provide a smooth transition onto the newly expanded roadway. Daytime work will continue for various construction activities and utility work. There will be various lane closures from Redbud Trail to Westbank Dr. This is a friendly reminder that school starts again on Monday, August 21, 2017. Please plan accordingly, expect more traffic, and use caution traveling through construction zones. 6:50 to 7:40 a.m. & 2:40 to 3:15 p.m.
Daytime work will continue for various construction activities and utility work. There will be various lane closures from Redbud Trail to Westbank Dr. Mondays through Fridays. We appreciate your understanding and patience as we continue to work on bringing these much needed improvements to the community. The contractor has completed all waterline connections from Redbud Trail to Buckeye Trail. They have begun excavating near Bluff Park Circle and will be moving east. 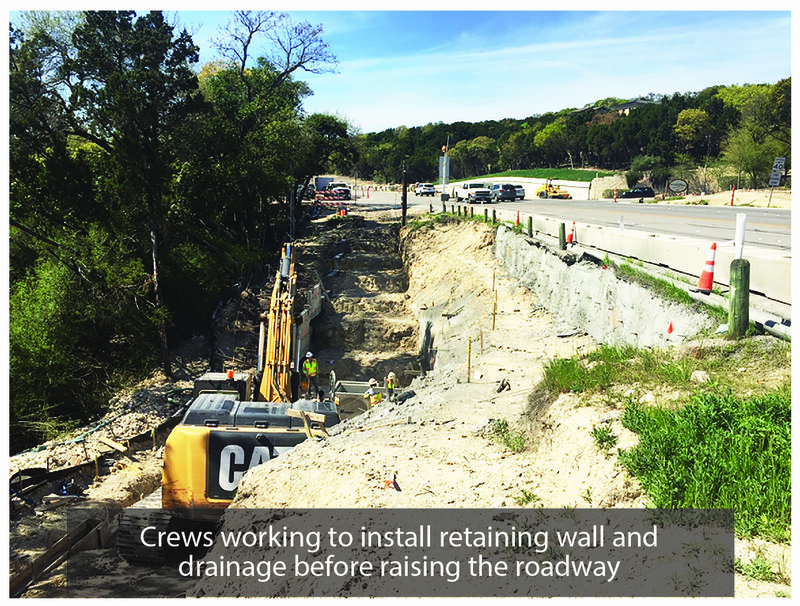 This work is to prepare for installing various retaining walls and storm sewers on the north and south side of the road in preparation for expanding the roadway. The contractor is still encountering private improvements, such as sprinkler and electrical lines, within the state-owned right of way. It is important these improvements be moved for the safety of the workers and to avoid construction delays. If you are a property owner that abuts Bee Cave Road, please move all private improvements, including underground private utilities, out of the state-owned right of way. If you need help identifying the right of way line, please reach out and we will be happy to assist you. Daytime work will continue for various construction activities and utility work. There will be various lane closures from Redbud Trail to Westbank Dr. Mondays through Fridays and on selected Saturdays. We appreciate your understanding and patience as we continue to work on bringing these much needed improvements to your community. The contractor will have an additional lane closure this week to identify underground utilities. Beginning Tuesday, May 2, various closures will occur on Camp Craft Road near Bee Cave Road. Flaggers will guide traffic through as needed. To avoid school traffic, this work will occur from 9 a.m. to 1 p.m. and should be complete within a few days. Night work will continue over the next few weeks with various lane closures between Sundown Parkway and Buckeye Trail in order to install four waterlines that cross Bee Cave Road. Daytime work will also continue with various east and westbound right lane closures from McConnell Drive to Redbud Trail. The contractor is working to keep these lane closures short in length and will continuously move the lane closure once the work is complete. Please watch for crews in the right-of-way, use caution while driving, and follow all road signs. We appreciate your understanding and patience as we continue to move forward on the project. The improvement project includes constructing a center turn lane and adding shoulders and a sidewalk between Redbud Trail and Walsh Tarlton Lane. Construction began in November 2016 and is anticipated to be complete in summer 2019, weather permitting. 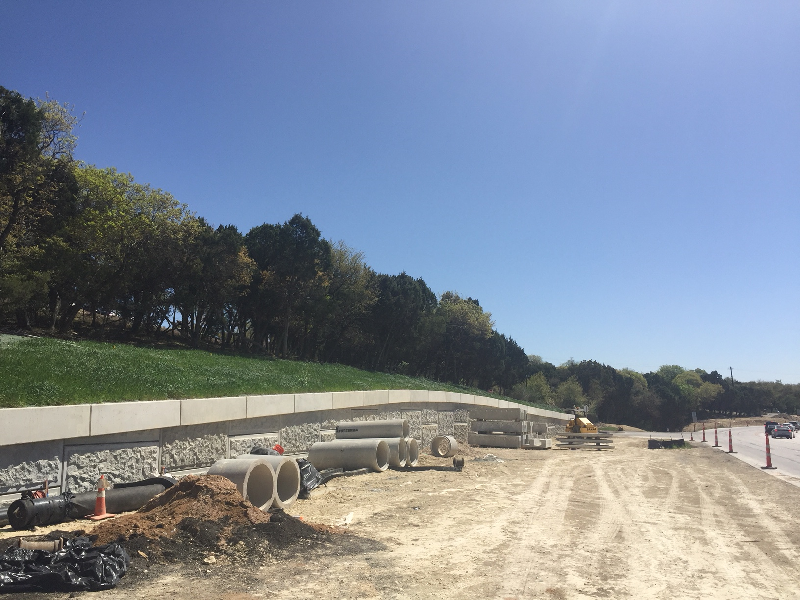 The contractor continues to make progress and is completing waterline work from Redbud Trail to McConnell Drive and one retaining wall west of Sundown Parkway has been built. Next, they will work on building retaining walls in various locations on the north side of Bee Cave Road. There will be night work beginning Sunday, April 23 to install four waterlines that cross Bee Cave Road. This work will occur Sundays through Thursdays and will last approximately four weeks (weather permitting). There will be various lane closures between Sundown and Buckeye in order to complete this work. Daytime work will also continue with various east and westbound right lane closures from McConnell Drive to Redbud Trail. School Zone Speed Limit Hours: Monday - Friday from 6:50 - 7:40 a.m and 2:40 - 3:15 p.m.
Utility companies—including internet, cable, and phone providers, along with energy providers—continue to move utility lines to make room for the road expansion. 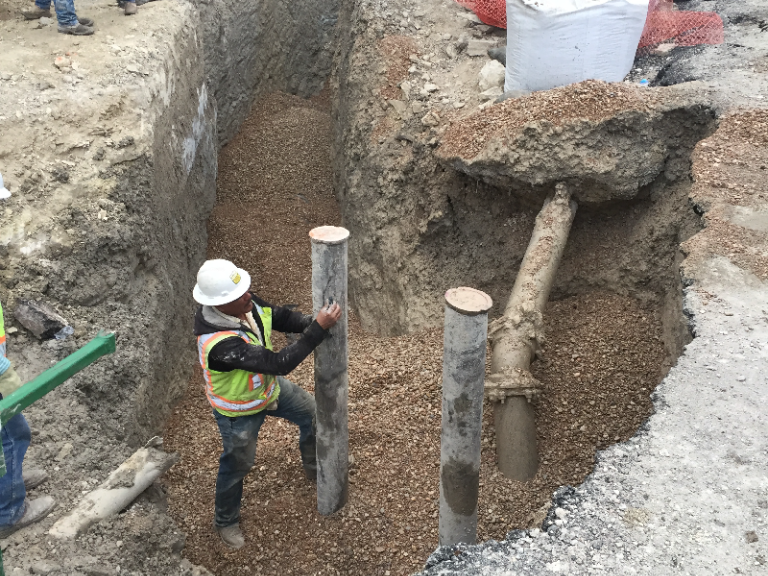 The contractor team is also working on the water line, including storm sewer line installations and upgrades. Beginning mid to late spring, the new waterline will be active from Redbud Trail to Buckeye Trail, then the contractor will begin installing retaining walls to widen the roadway. Utility and waterline work will continue during daytime and nighttime hours, with various east and westbound right-lane closures from Redbud Trail to Westlake Drive. As a friendly reminder, the speed limit along Bee Cave Road from Walsh Tarlton to Redbud Trail is 40 MPH. Please use caution and follow all road signs when driving through the construction area and school zones. 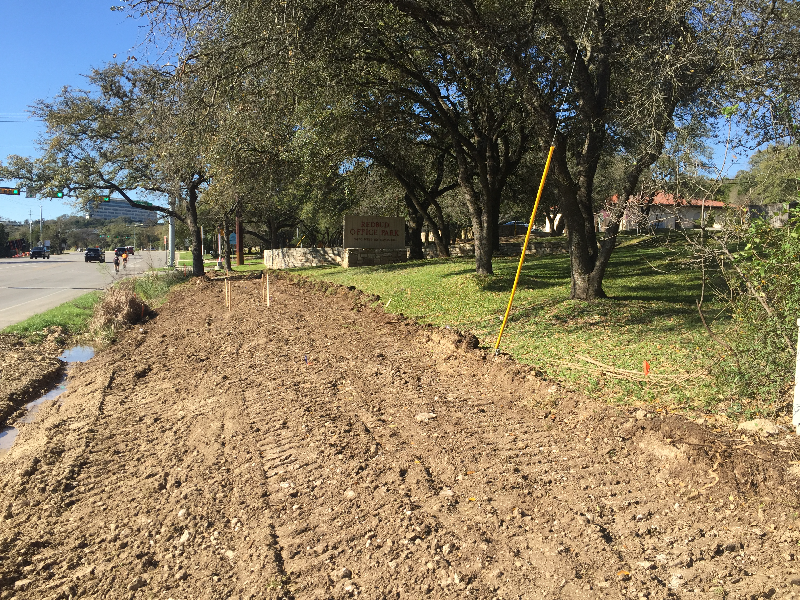 The contractor has finished clearing the right-of-way along Bee Cave Road from Redbud Trail to Walsh Tarlton. TxDOT is coordinating with utility companies, such as internet and cable providers, to move utility lines. Waterline work is also beginning this month including storm sewer installations and upgrades. Utility and waterline work will continue during daytime and nighttime hours, with various east and westbound right-lane closures from Redbud Trail to Walsh Tarlton. Monday - Friday from 6:50 to - 7:40 a.m and 2:40 - 3:15 p.m.
We understand construction is disruptive, and appreciate your understanding and patience as we continue to move forward on the project. We are in contact with residents and businesses along Bee Cave Road to address concerns. For the majority of construction, there will be two lanes open in each direction and the lane closures will take place during off-peak hours to help minimize delays. 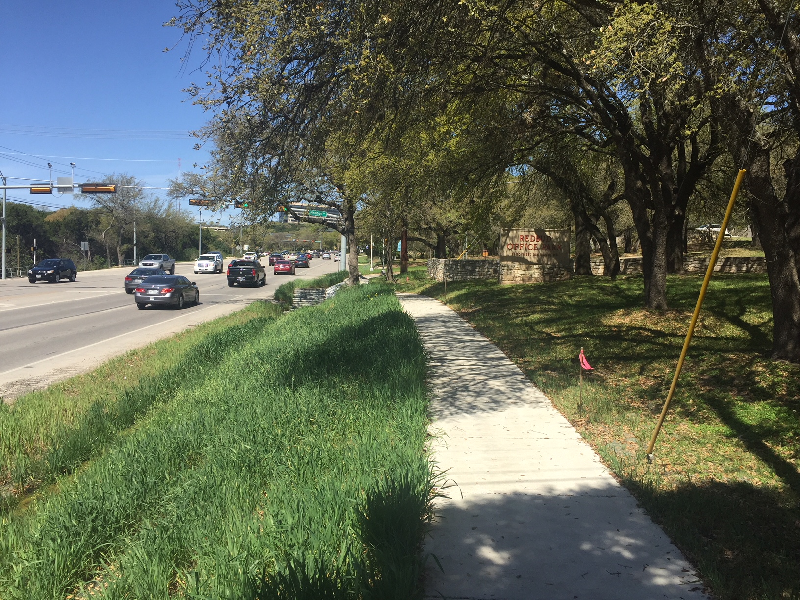 The improvement project includes constructing a center-turn lane and adding shoulders and a sidewalk between Redbud Trail and Walsh Tarlton Lane. Construction began in November 2016 and is anticipated to be complete in summer 2019. Work continues on the Bee Cave Road Project. Activities, including striping work, clearing the right-of-way area, and relocating utility lines will continue into January and should be completed later that month. Various lane closures will continue to occur during night-time hours (from 8 p.m. to 6:30 a.m.) from Redbud Trail to Westlake Drive so the contractor can continue to re-stripe the travel lanes and clear the right-of-way. Various east and westbound right-lane closures will continue to occur during the day between the hours of 9 a.m. to 4 p.m. to allow crews to install water lines. 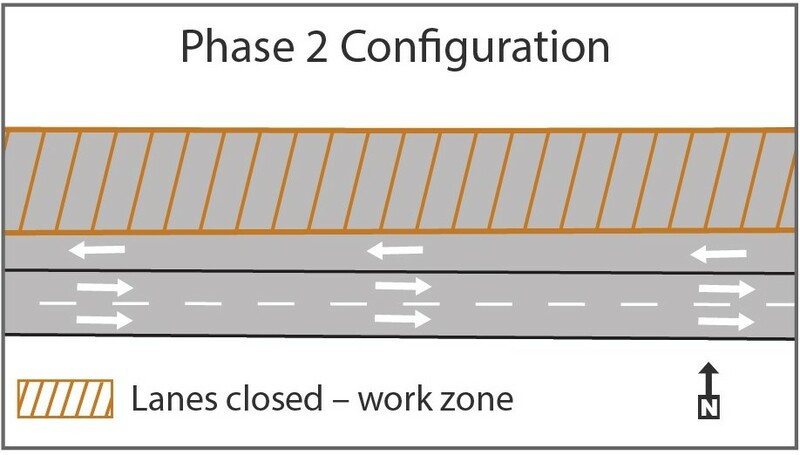 Rather than closing a long section of lane, the contractor is working to keep these lane closures short in length and will continuously move the lane closure once the work is complete. Saturday work will start in January with lane closures from 9 a.m - 4 p.m.
We have heard questions on what final improvements will look like. Below are illustrated roadway configurations (please click on the image for a larger illustration). We understand construction is disruptive, and appreciate your understanding and patience as we continue to move forward. We are in contact with residents and businesses along Bee Cave Road to address concerns. For the majority of construction, there will be two lanes open in each direction and the lane closures will take place during off-peak hours to help minimize delays. 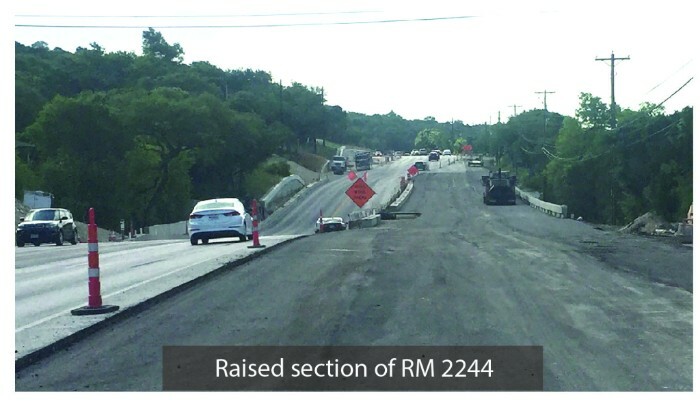 At the November 9, 2016 City Council meeting, TXDOT Assistant Area Engineer Michelle Romage-Chambers presented an overview of the Bee Cave Road project including a timeline and summary of the various phases of construction. Her Power Point presentation is available here. The official start date for the project is November 1, 2016. On or shortly after November 1st, TXDOT's contractor, Aaron Concrete, will begin putting out signage and barricades on the side of the road to protect the workers who will be doing some utility relocation in the right-of-way near Redbud Trail. This utility work is part of the TXDOT project scope. The utility relocation work will last about six months. Over the next week or two, the lanes between Redbud Trail and Westlake Drive will be restriped. They are currently about twelve feet wide. They will be narrowed to about 10 feet to give the contractor more room to do the utility relocation work in the right-of-way. There will still be four lanes (two in each direction), but they will be smaller/narrower. 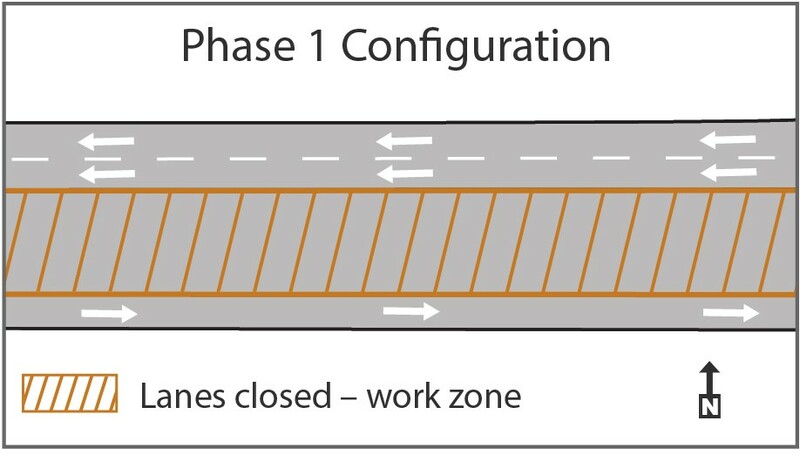 While the striping is occurring, there will be temporary lane closures. Those closures will take place between 9:00 am and 4:00 pm. One lane in each direction will be maintained during the striping.